Identification: Checkered fringes. 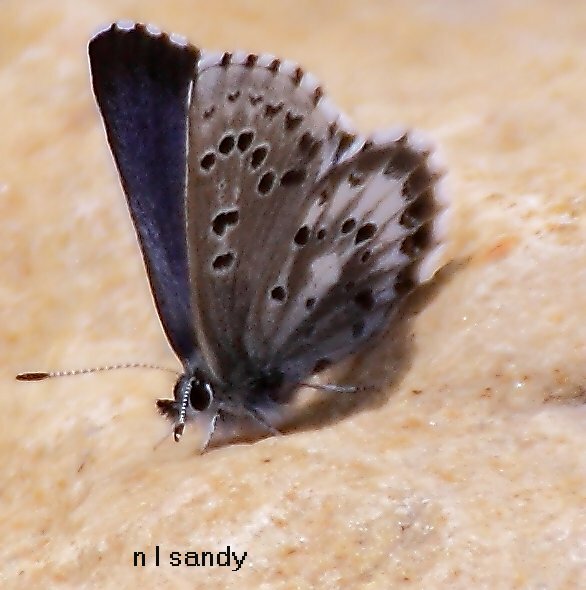 Upperside of male violet blue with a wide border; female duller. 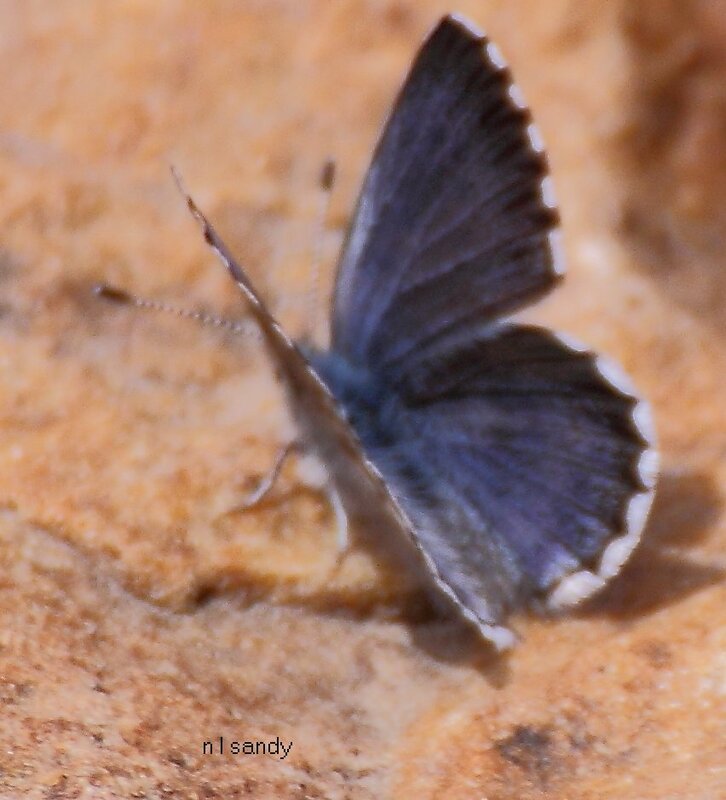 Underside gray with many small black spots. Hindwing with postmedian band of white "arrowheads" pointing inward. Life History: Males patrol during the day near host plants. 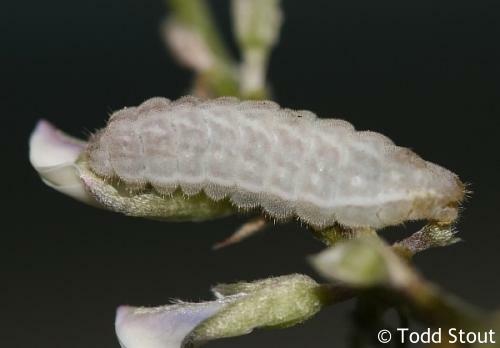 Females lay eggs on flower buds of host plant; caterpillars eat flowers and fruits. Chrysalids hibernate. Flight: One brood from March-July. 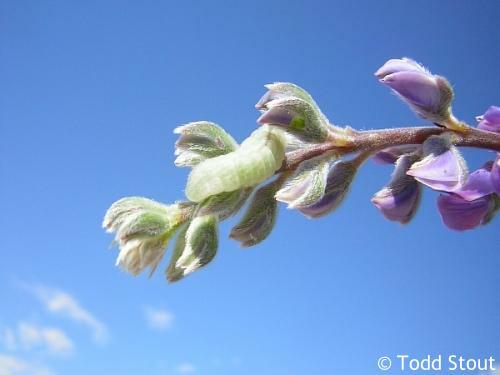 Caterpillar Hosts: Lupine (Lupinus) and milkvetch (Astragalus) species in the pea family (Fabaceae). 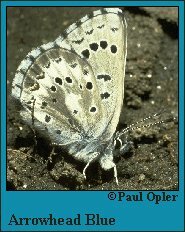 Habitat: Coastal dunes and lowlands in California; mountains elsewhere: scrub, openings in woods, roadsides, trails, meadows, clearings, streamsides. Range: Local and uncommon. British Columbia and southern Alberta south through the mountains of western North America to southern California, northern Arizona, and western Nebraska. Conservation: Populations in southern California need assessment; elsewhere populations are probably not in jeopardy.